It’s no secret that Italy is synonymous with great food and that its cuisine is one of the most popular in the world. If you are looking for inspiration for a gourmet itinerary that also allows you to taste art, nature and Italian lifestyle, one great idea is to combine a visit to Piedmont and Liguria. These are some of the top foodie destinations in Italy, and they also provide idyllic landscapes, ancient traditions and artistic wonders. Their gourmet hotspots are nearby, meaning that with a one-week break you can enjoy a panoramic road trip at a relaxed pace, from the Barolo wine area to the famous city of truffles, from the cradle of pesto to the heroic vineyards and dolce vita of the Italian Riviera. Did you know that the Slow Food movement was born in Piemonte? This alone is a reason for gourmet lovers to visit this region, praised even by Forbes: “Piedmont is home to some of the best food in Italy, but it’s still off the radar”. In particular, the Langhe district features picturesque hills covered by vineyards that produce the famous Barolo wine; and its delicious local produce includes porcini mushrooms, hazelnuts, cheese and white truffles. 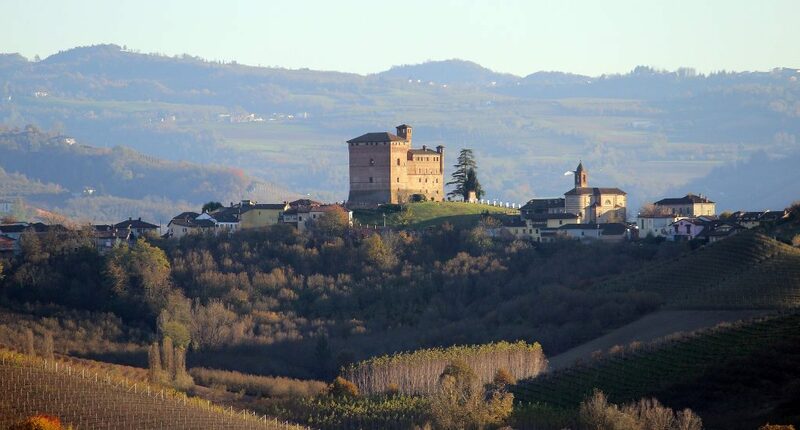 This beautiful wine-growing area of Piedmont, along with Roero and Monferrato, are part of UNESCO’s World Heritage list. Alba is considered the capital of the Langhe district. Make sure to explore its elegant historic center with typical cobbled streets, fashionable boutiques and the 12th-century Duomo with Romanesque and Gothic features. Alba is renowned for its white truffles and hosts the famous International Truffle Fair annually in autumn. Barolo is another town for your must-visit list. Located in its historic center, Castello Falletti is a fine example of how culture, history and wine combine perfectly in the Langhe area. In fact, the 10th-century castle is home to WiMu, the Barolo Wine Museum, an innovative and interactive space where you can learn about wine and its impact on the evolution of civilizations and artistic expressions. If wine tasting is not enough, you can enjoy the classic and elegant Brasato al Barolo, a delicious local beef braised in red wine! Other typical dishes of the area include agnolotti al plin, where the agnolotti are small pieces of flattened pasta dough folded over a filling of roasted meat or vegetables; while plin means pinch and refers to the movement done to seal them. How about a cooking lesson for a hands-on experience to learn how to prepare traditional dishes from Piedmont? Fun and delicious! A 2-hour drive takes you from the Langhe area to Genoa, the capital of Liguria and… of pesto! This delicious sauce full of history and traditions handed down from generation to generation, represents Liguria in the world. You cannot miss the occasion to learn how to prepare pesto with the marble mortar and wood pestle, and uncover the secrets of Genoa’s basil, which is protected by the European Union with DOP (Denominazione di Origine Protetta) status. A walk around Genoa will surprise you: this is a multi-faceted city featuring luxurious aristocratic palaces along the historic Strade Nuove, the port, and narrow caruggi streets that are reminiscent of a kasbah. Genoa is arguably not the most glamorous corner of Italy, but its maritime heritage can never be questioned, and it certainly deserves the nickname given by scholar and poet Francesco Petrarca, “La Superba”. The tour in the centro storico takes you to squares, palaces and hidden corners that tell the glory of the city that was “mistress of the seas” for a long time. And lunch in one of the historic trattorie will allow you to taste local specialties such as the Farinata, a chickpea pancake cooked in the wood oven. When you think of Liguria, if pesto isn’t the first thing that comes up to your mind then the colorful landscape of the Italian Riviera probably is! A visit to the Cinque Terre is a delight for your eyes and taste buds. The five villages are a UNESCO World Heritage Site – along with neighboring Portovenere and its islands – for being a distinguished example of how man has been able to shape the environment without altering the beauty of the landscape. Typical food and drinks from Cinque Terre include excellent olive oil, unique anchovies, exquisite lemons and the sought-after Sciachetrà passito wine. Have you ever heard of heroic viticulture? Visit the terraced vineyards located on the dramatic cliffs to learn about the amazing winegrowing practices and traditions of the area. While your foodie experience in Cinque Terre concludes with some wine tasting in the cellar of a friendly local producer, during your gourmet trip in Portofino you can join a cooking lesson to learn how to make handmade pasta and discover the secrets of Ligurian cuisine. 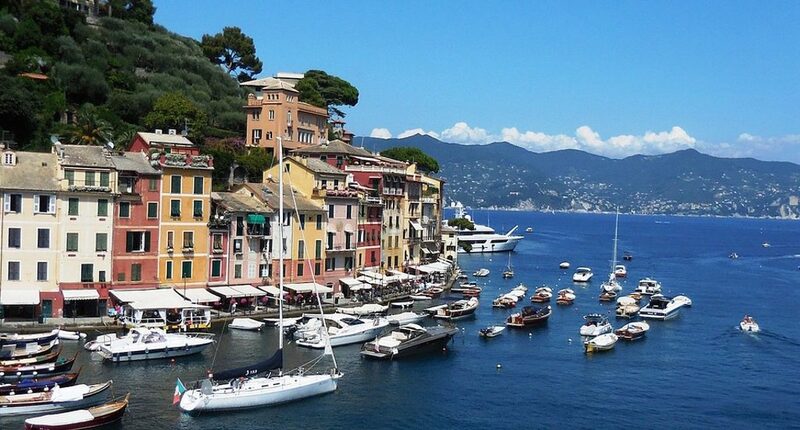 Have a taste of the Dolce Vita with a digestive stroll along Portofino’s sea-view square, luxury yachts and fancy boutiques. If you want to book a foodie vacation in Italy, BeautifuLiguria has created a gourmet trip that includes all the experiences described above, as well as visits to small farms producing hazelnuts and niche cheese, dinners in the special atmosphere of candle-lit wine barrels, and much more. 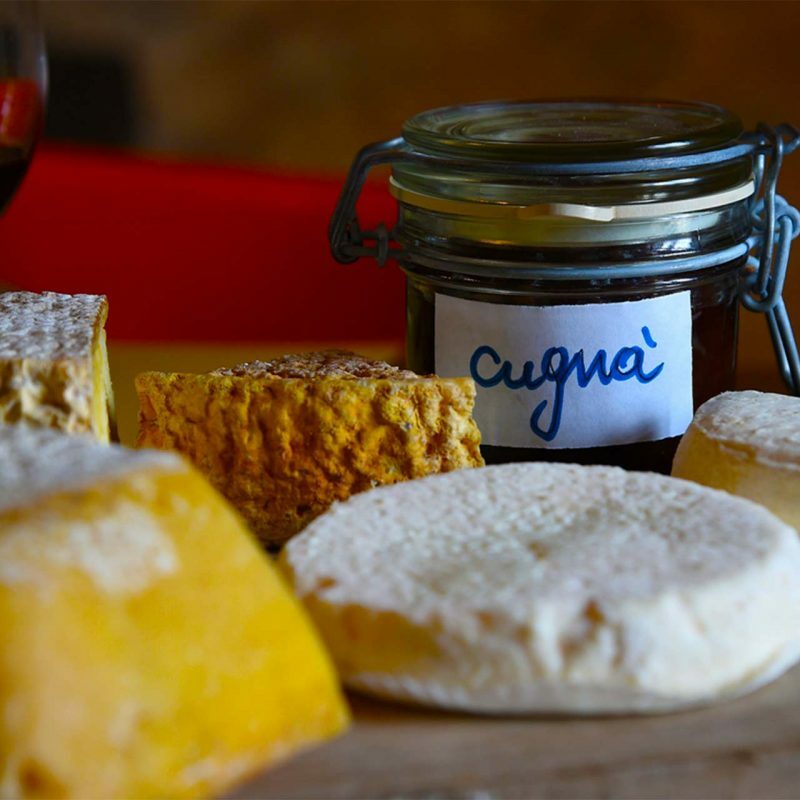 Discover the day-by-day itinerary of the Slow Food Tour in Piedmont and Liguria.